Well, if you look around the internet, you can always come across the design ideas you are hoping for. You can find templates and mockups for the work you are hoping to do. But not always you want to customize someone else’s work.You can even assemble design elements from various places and put them together using design tools and create a final design, either for yourself as a wall hanging, or for your client as a billboard banner. You may also see Concert Vectors. For such cases, vectors are always a good way to go about it. 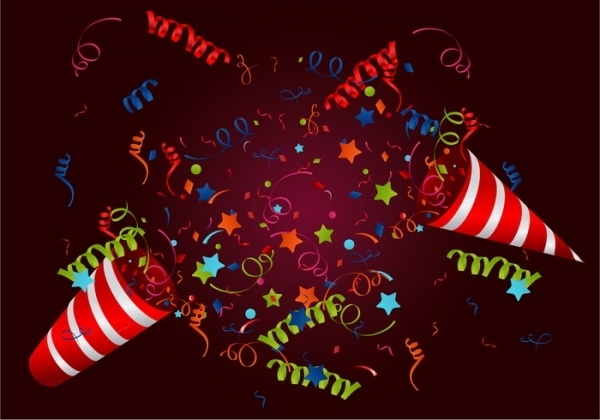 Here are certain vector illustrations that cover the range of celebratory moods and designs. These vectors, are like food vectors and how you would use them for restaurant and party flyers, can be used for creating greeting cards, birthday and anniversary flyers and invitations and other such stationary along the same design idea and emotions. 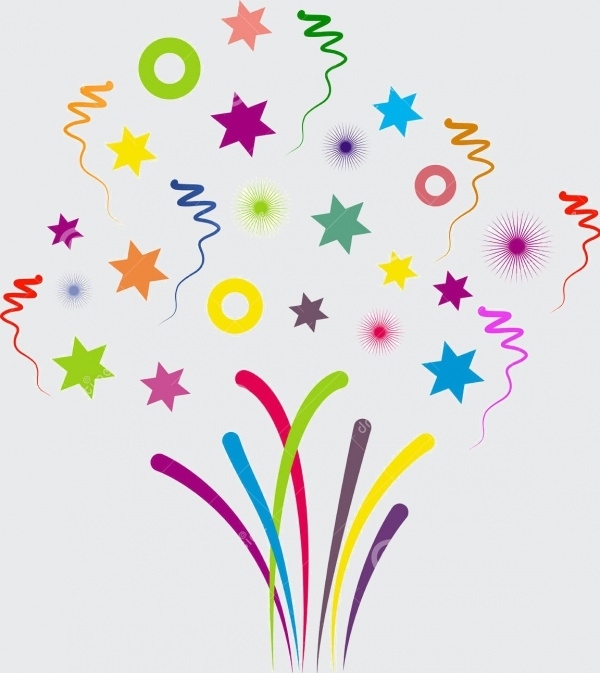 You may also check.Birthday Vectors. 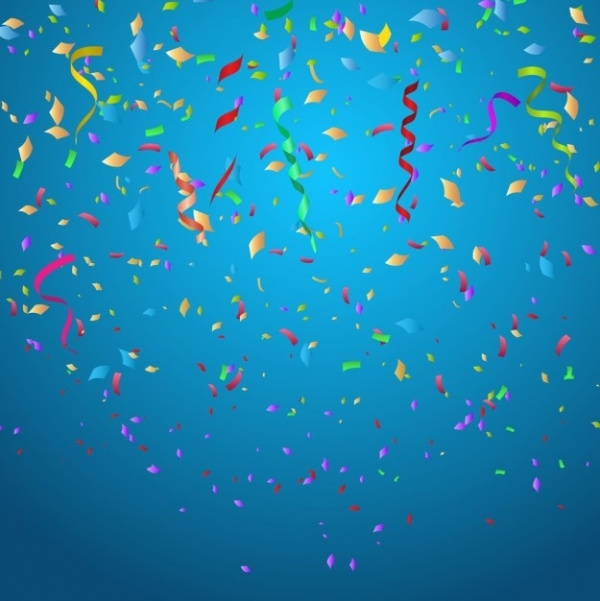 This is a free download of colorful confetti set on a blue background. 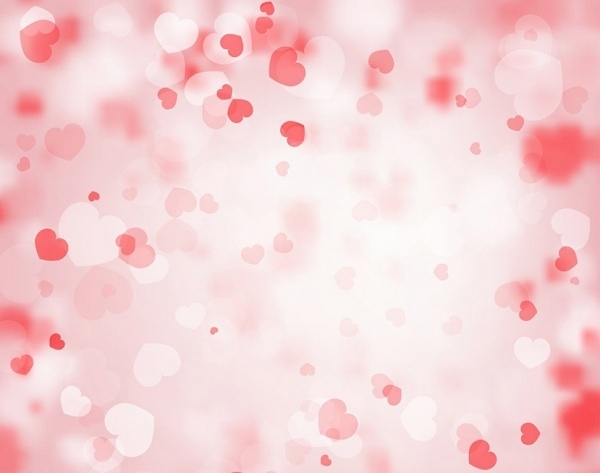 This vector can easily find its place in multiple different designs as a simple background or mixed with other elements.You may also see Cupcake Vector. 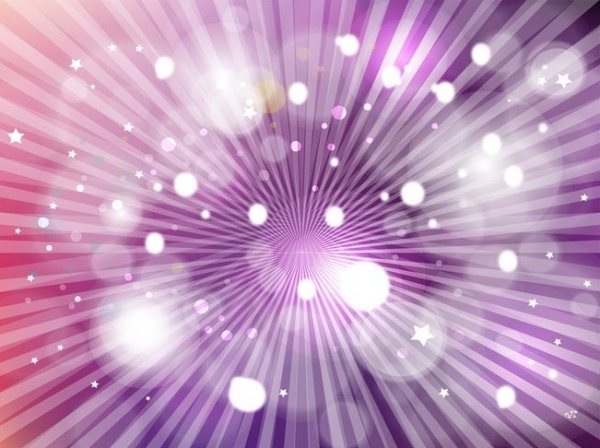 This is a design vector of a purple hue with blocks emerging from the center along with a little bokeh effect. You can simply add your text on top of this vector and use it for you greeting or thank you cards. 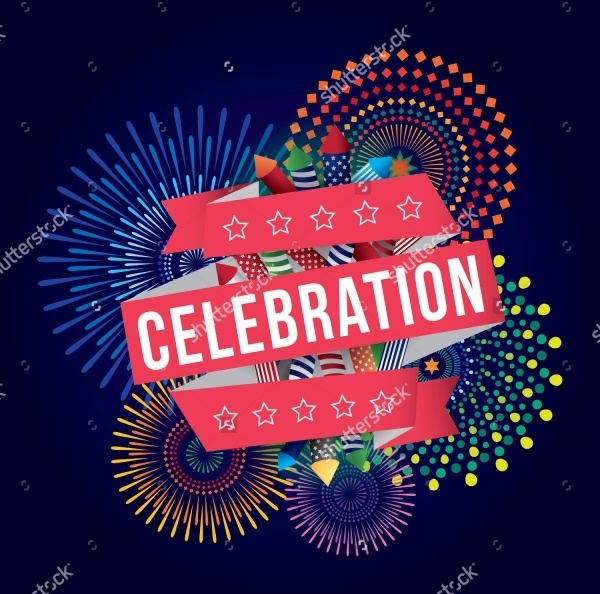 Click on the below-mentioned link to come across this celebration confetti design that is made up of stars and circles and other wavy structures. 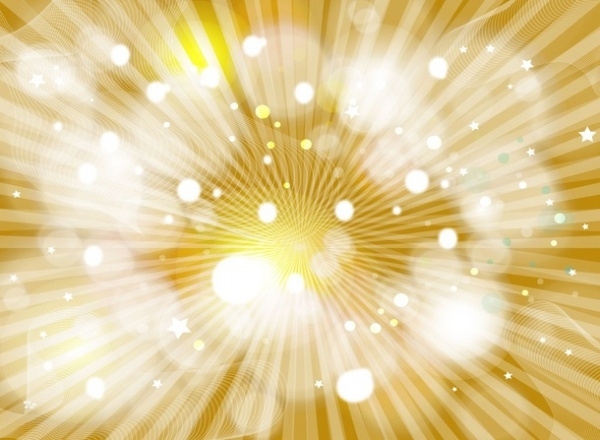 This design can be downloaded as a jpeg in different sizes apart from the option of the editable vector. 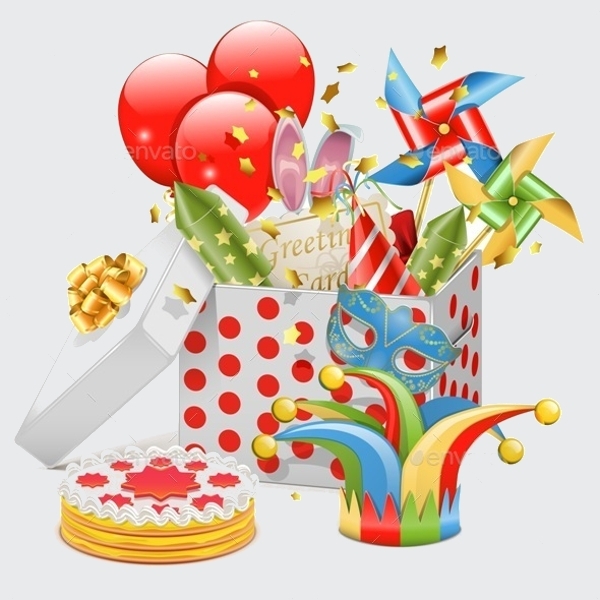 Here is a vector design of a gift-wrapped box filled with party elements like the party hat, balloons, firecrackers. And around it is a cake and a joker’s hat, all adding to the celebratory theme. 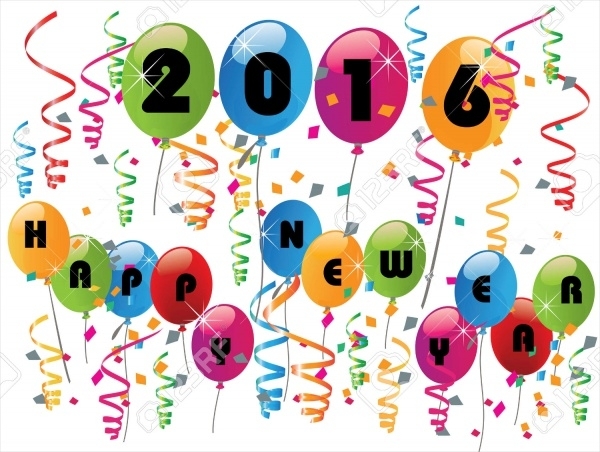 Here is a design that you can simply put on the cover of every new year greeting card and simply change the year and move on. 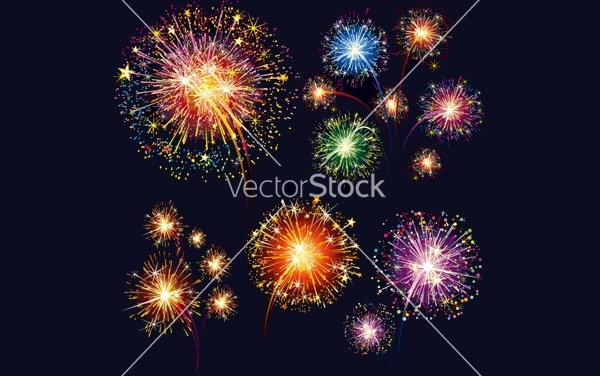 Here is a really brilliant illustration that is available to you in a high-resolution vector design. The work celebration is written over the ribbon with artwork of fireworks in the background. 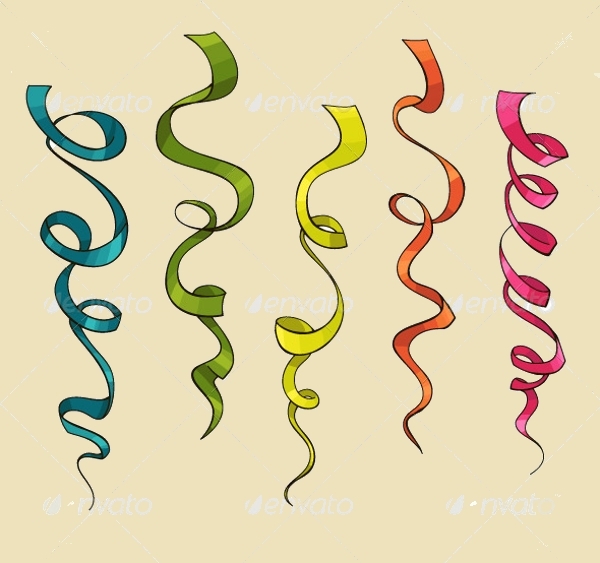 In this link, you will come across party ribbons vector that is set in different shiny shades. The design can be downloaded as an editable vector from the given link. Anniversary celebrations are an important part of the celebratory designs. 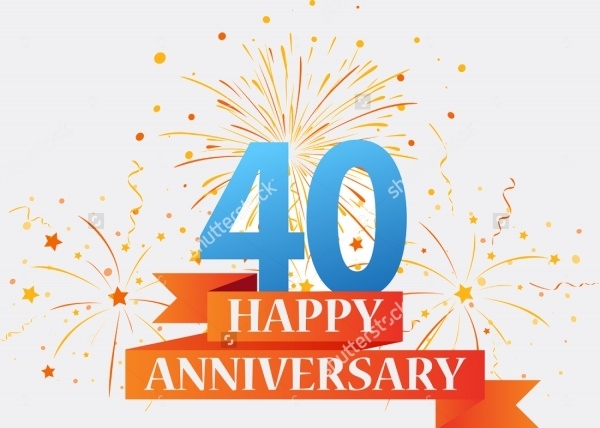 Here is a simple design mockup for a 40 year anniversary idea. 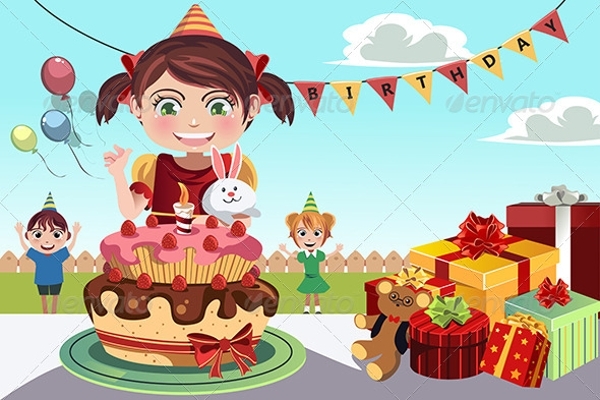 Check out this amazing premium illustration that shows kids celebrating a birthday occasion with elements like cake, gifts, and balloons represented in a cartoon-like design. Here is a vintage looking design which can act very well as a background for a Christmas themed design. You can download the high-quality vector from the below-mentioned link. 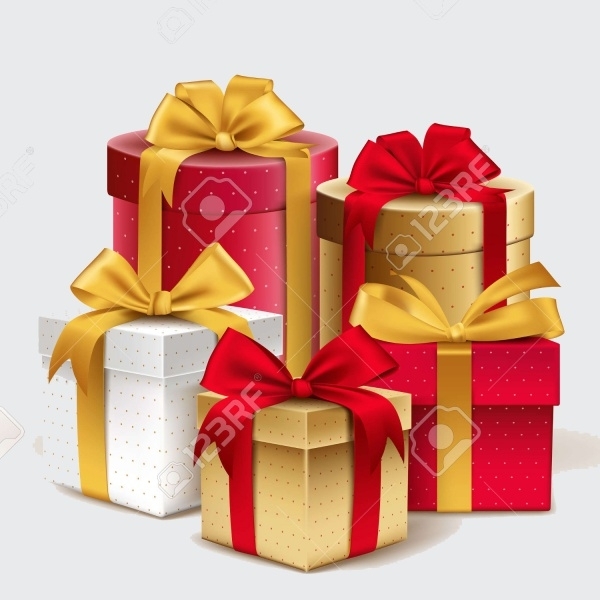 Here is a vector illustration of realistic 3D looking gift boxes wrapped around in dotted paper and complemented with colorful ribbons. The design is available in various sizes optimized for different print and web purposes. 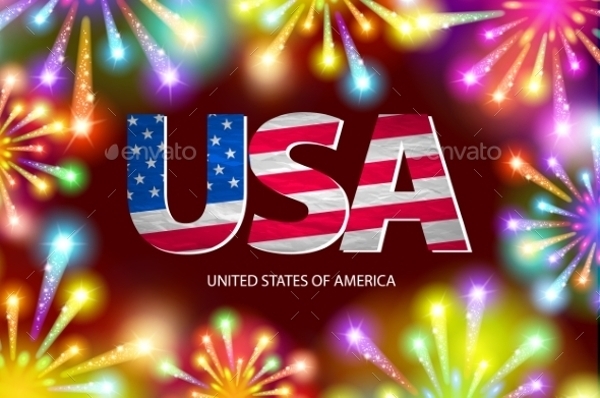 Here is a design that showcases the celebratory theme of the 4th of July with the help of firecrackers and the simple text of the country name on top of it. 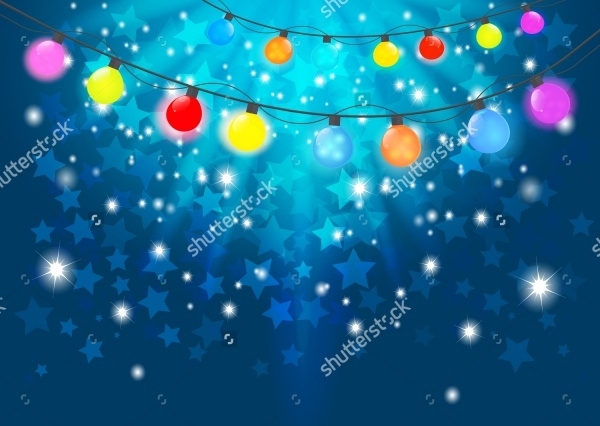 Check out this simple vector illustration set on a blue background with a series of colorful lights running along the top edge of the design. 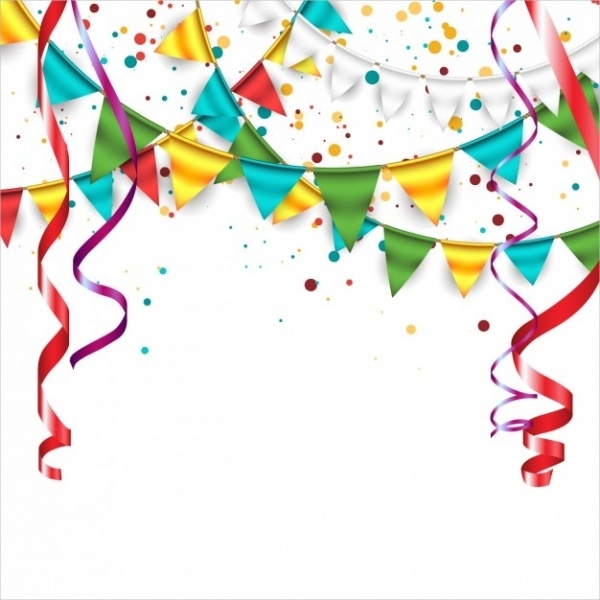 Celebrations are not about just streamers and ribbons. You can add music to the theme with the help of this trumpet vector that you can download from the link below. Here is another simple yet powerful vector design that can be placed in one corner of the design along with other elements to make a great celebration design. 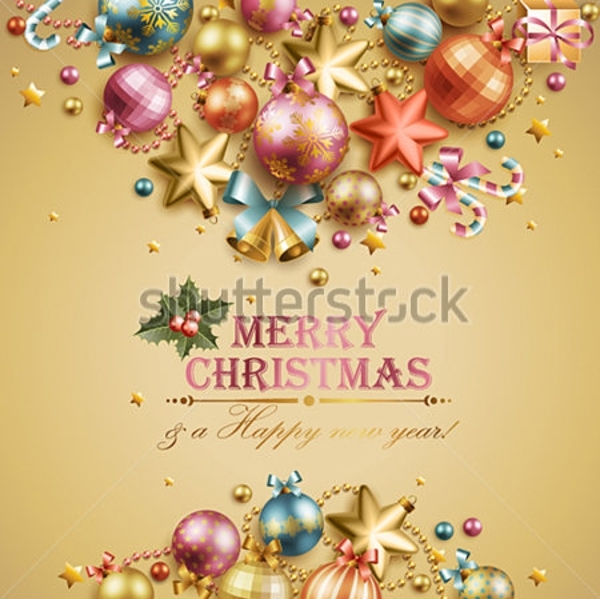 The use of these vectors can find a wide range of designs, like New Year’s celebration and party, carnival flyers, Christmas and anniversary cards, party invites and such. 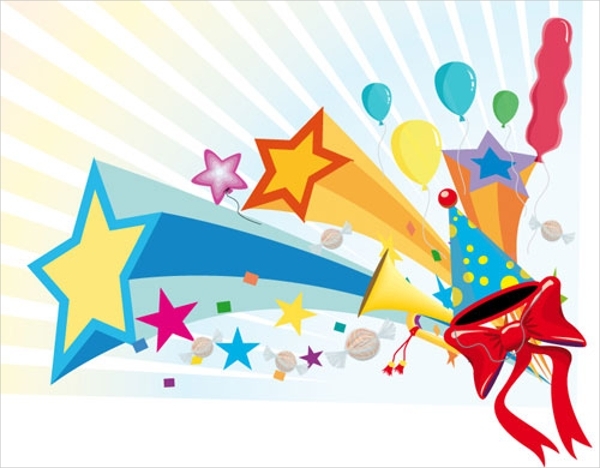 You can also look at various birthday vectors if you are aiming for the birthday theme in your upcoming designs.